2017 Pumpkin Patch Shop Hop Winners! The grand prize for $300 is awarded to Bernice Brow. Two second prizes for $100 are awarded to Ann Foster and Kris Spillman. Barbara Godesis, Charlotte Markovic, and Connie Young. Thank you all for great participation this year. We’re already planning for next year with some exciting new ideas and have plenty of time to make next year even better! Next year’s dates will be October 18, 19, 20, 2018. Pumpkin Patch Shop Hop Is Coming! Eight participating shops will offer sales and store specials for all passport holders. The progressive project this year will be the timeless and popular house block with a twist. Each store will kit two different blocks plus a surprise block. For a more interesting house, the kits will include architectural fabrics for the houses and roofs. A consistent background sky will also be provided. Pick the finishing kit you like best. Get your passport stamped at all eight shops to be eligible for prizes. Thanks to all who participated in the 2014 Pumpkin Patch Shop Hop! We hope you all had as great a time as we did!! 2013 Pumpkin Patch Shop Hop Winners! Winning Quilters Cash Cards can be used at any store. The coupon books for the 2013 shop hop are now available at all stores. If you have already purchased a passport, stop by your home shop and pick up yours before the shop hop. You do need to get the coupon book from your home store before the shop hop. 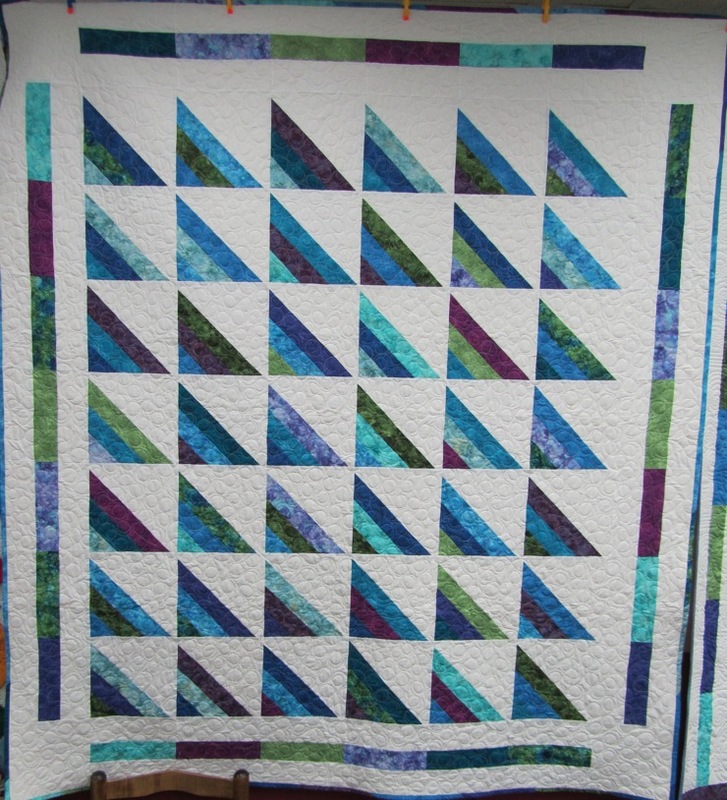 Coupons may not be used for progressive quilt kits. For shop hoppers who have purchased the passport and bus trip from Guildcrafters, your coupon book will be given to you on the bus. Passports go on sale July 27th. Passport fee is $5.00 and includes a coupon booklet to use during or after the hop at all of the participating stores (coupons may not be used for progressive quilt kit purchase). You will also receive the cutest zippered vinyl storage bag while supply lasts. Bring the storage bag with you on the hop and receive a FREE spool of Presencia thread from each store as a token of our appreciation. This is a quality sewing thread for you to enjoy! For passport holders only – Each store will be offering a variety of sales. Inquire at each location to find the special bargains. 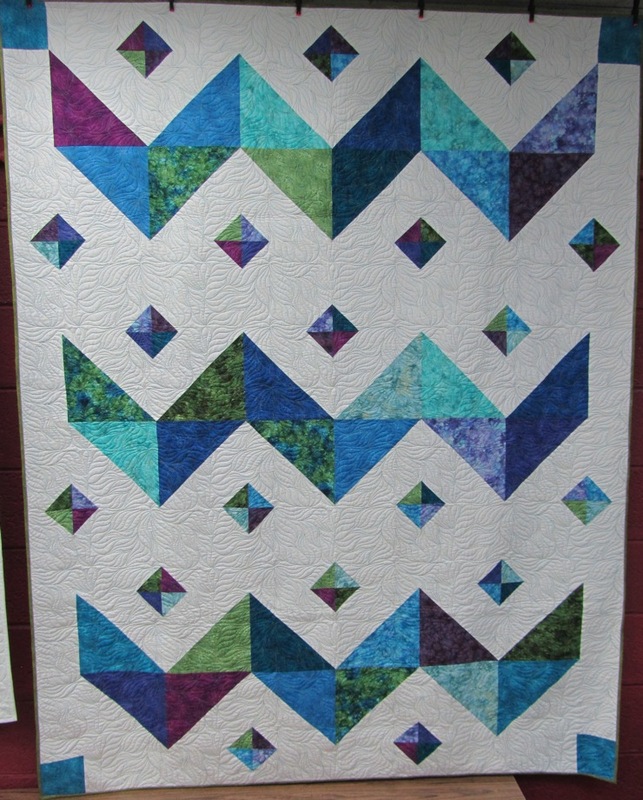 Progressive Quilt Project Kit will be $10.00 plus tax. 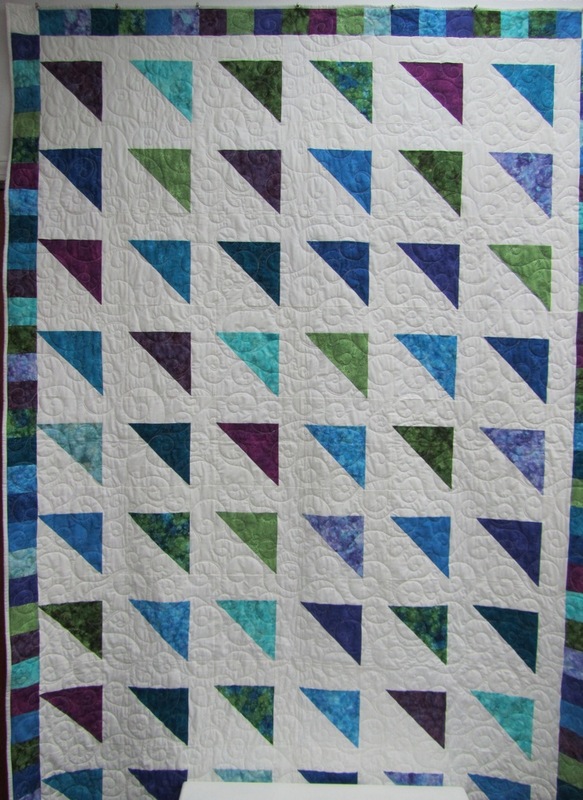 Included in the kits will be 2 (not one but 2) quilt patterns printed in color (for a total of 14 quilt pattern options if you purchase all seven kits). Coupons may not be used for progressive quilt kits. 2 of the 14 different white on white fabrics cut at 10.5 inches by 44″. 1 each of the 14 different colored Fusion fabrics cut 10.5 x 22. With the collection of all the fabrics from all the stores, cutting them into 10″ squares, you can choose any of the 14 patterns to make for yourself. Keep the rest of the pattern ideas for future layer cake bundles. 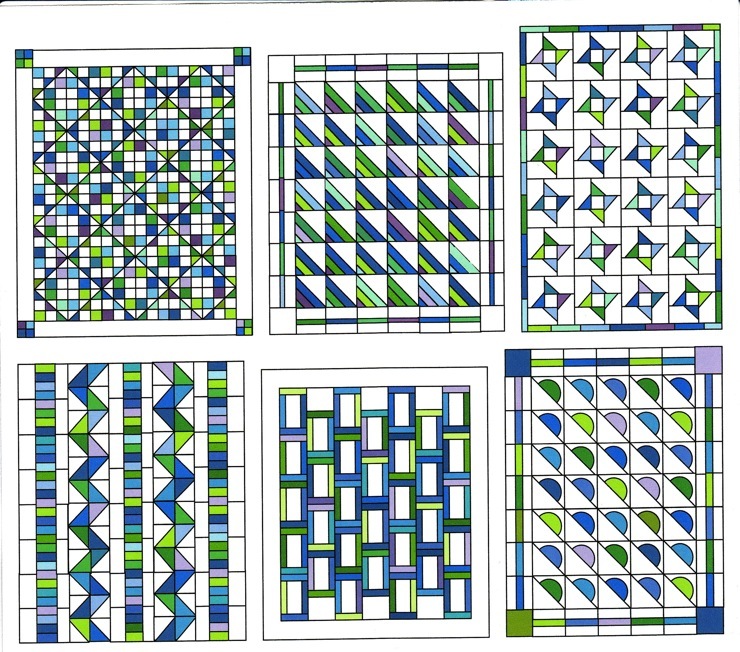 These patterns are a great resource for scrappy quilts. 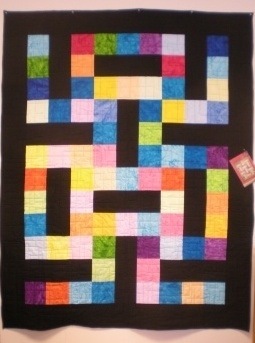 Come see 7 of the 14 quilts that will be at your local store this summer!!! 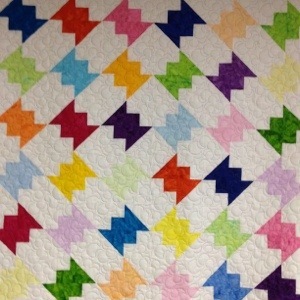 Sew What will show the quilts from June 25 – July 7. 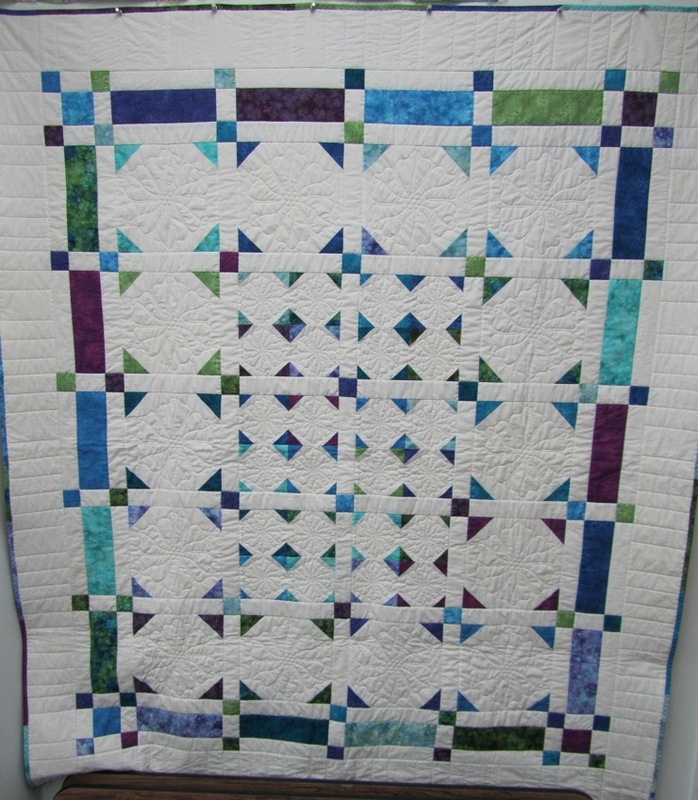 Material Girls will show the quilts from July 9 – July 21. Guildcrafters will show the quits from July 23 – Aug 4. 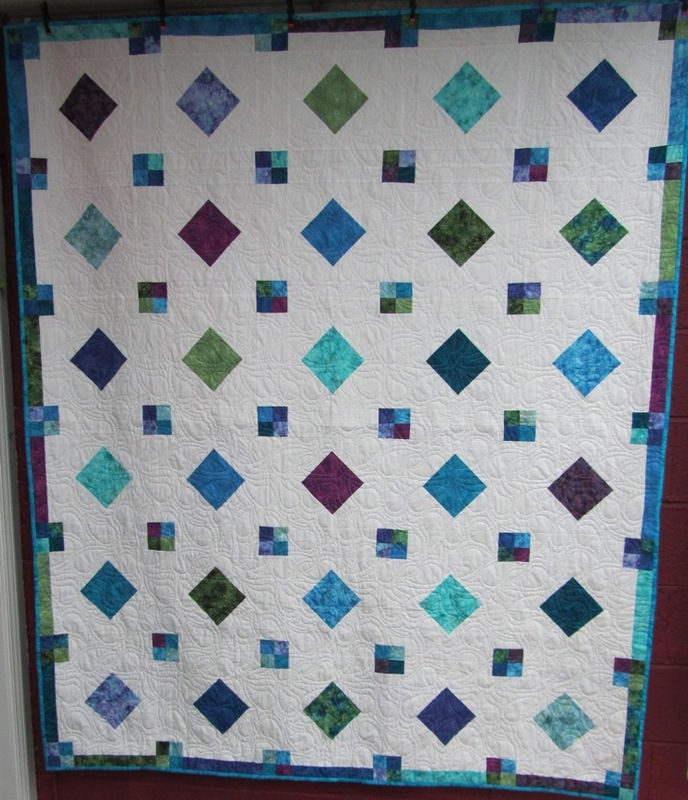 Monarch will show the quilts from Aug 6 – Aug 18. 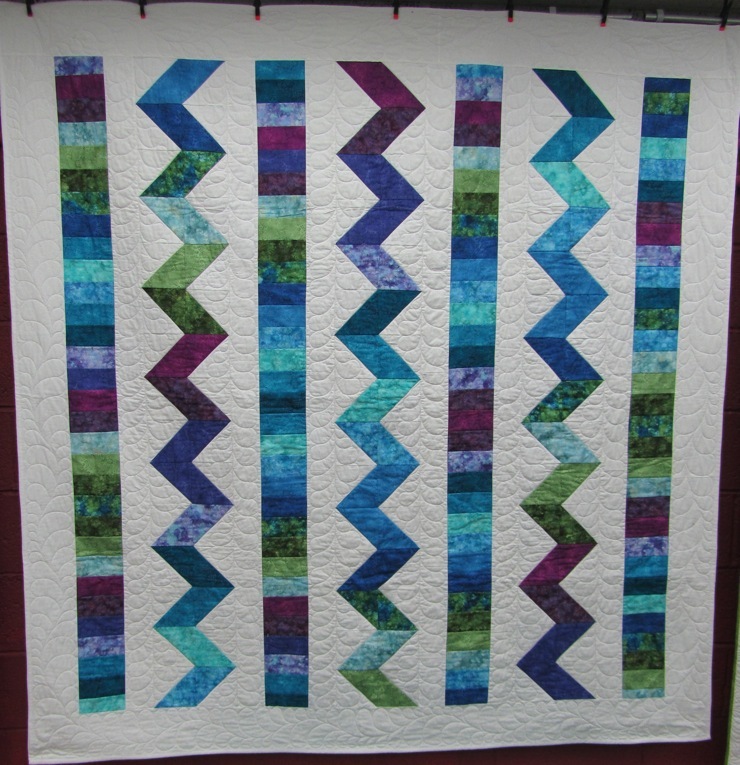 Stitchery will show the quilts from Aug 20 – Sept 1. 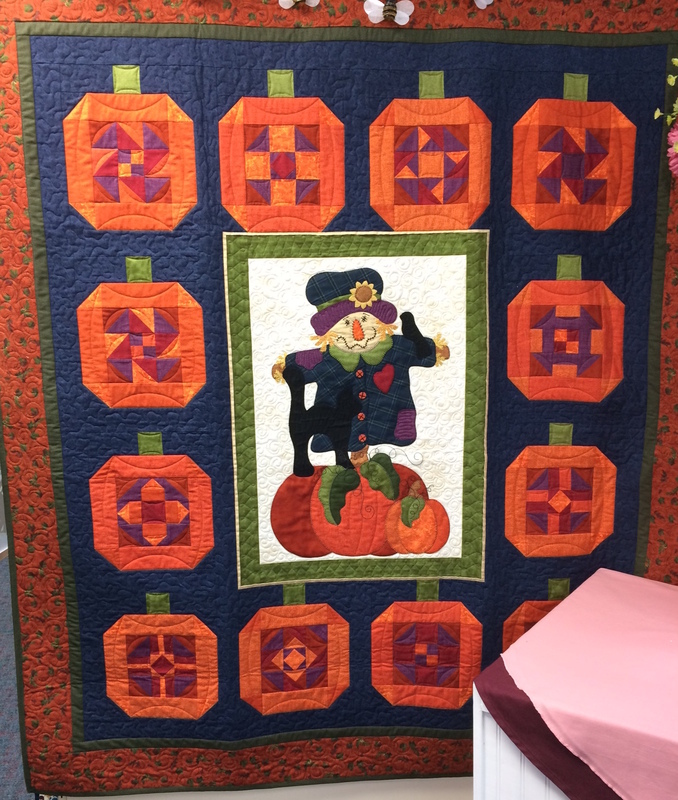 Jennifers will show the quilts from Sept 3 – 15. 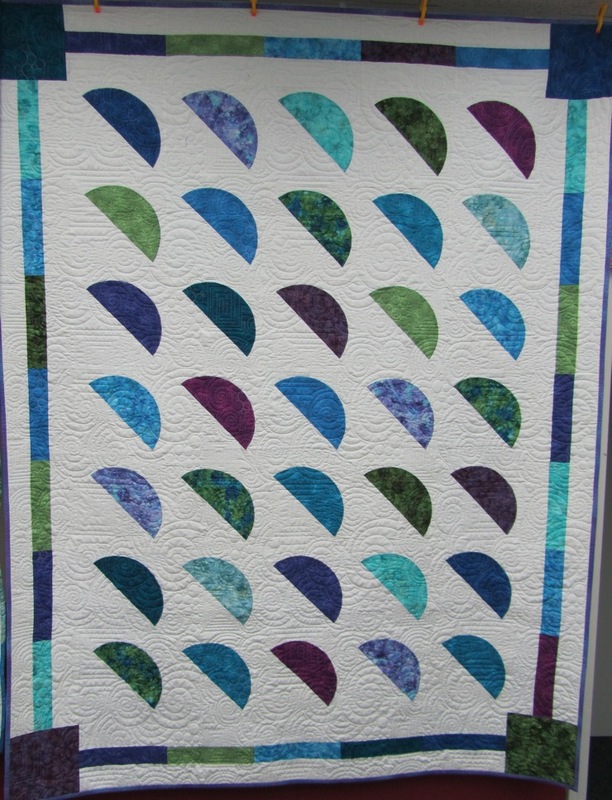 Quilt Patch will show the quilts from Sept 17 – Sept 29. 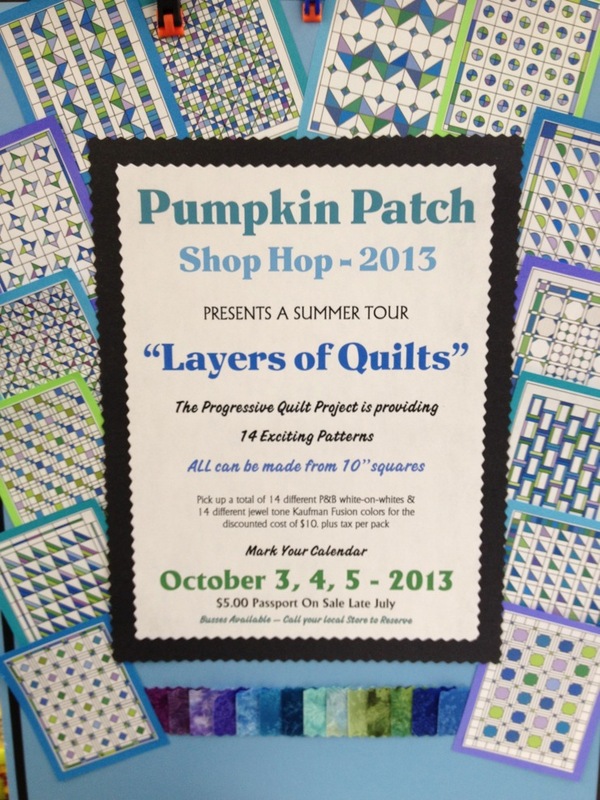 SEPT 30 – All quilts will be back at their own stores and ready for the hop the following week. Here are the first seven quilts — one from each store. 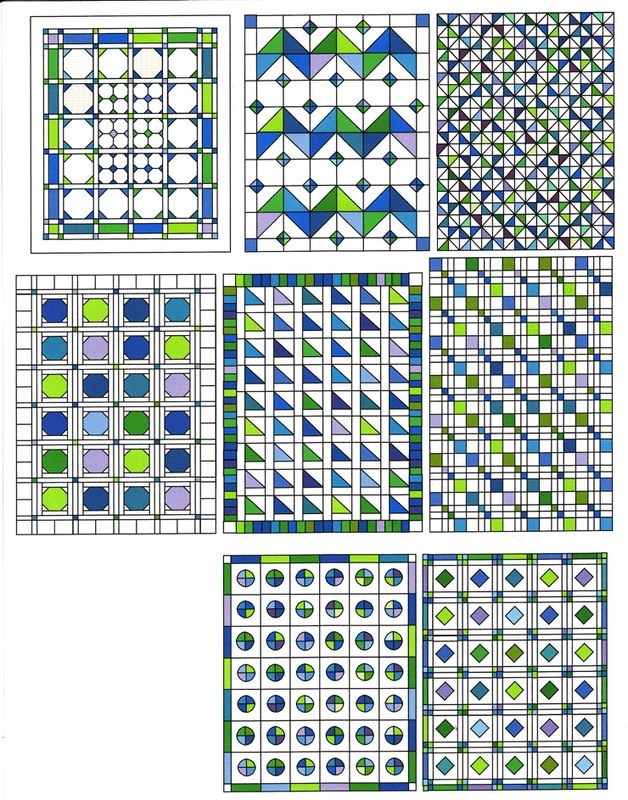 Here are drawings of the quilts. For the price of a tank of gas – Buses usually fill fast, so get your reservation in early. Watch for the Pumpkin Patch Face book page. Extra finishing patterns can be found at all stores. Passport sales will begin next summer.